Grande Prairie Salvage has been a proud member of the local community for the past 40 years. Its tradition of participating in local community events continually expands to help maintain the strength of the Grande Prairie community. 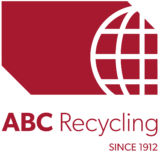 Grande Prairie Salvage’s integration with ABC Recycling has enabled us to further strengthen our involvement with the local community of Grande Prairie.